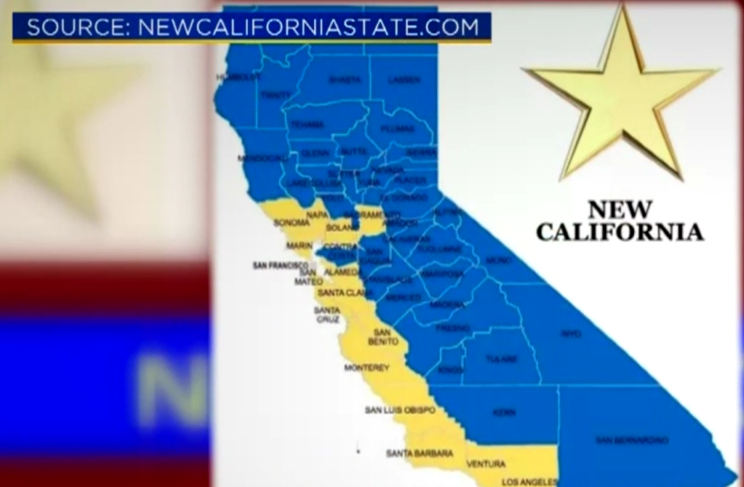 Could New California really happen? In a legislative effort to divide the state of California into two states and create a New California, many rural California counties have declared independence from the more liberal coastal sections of the state. Similar to the same method how West Virginia was created in 1863, individuals are appealing to Article 4, Section 3 of the U.S. Constitution and plan to bring legislation to the California legislature in the next 10 to 18 months to legally divide the state in two. As per The Daily Caller, the movement will almost certainly fail in the legislature, despite support from 21 of California’s 58 counties. 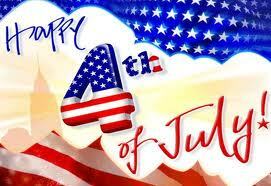 As we celebrate America’s birthday today, please do not ever forget that independence and freedom are never free. Nor should it ever be taken for granted as out own government attempts to take away those very freedoms on a daily basis. Remember the sacrifice of the bravery of so many who fought against the British crown to create an Independent country and the many since who have fallen to maintain our Independence. It is “We the People’s” job to maintain American independence as stated in the Declaration of Independence, “That to secure these rights, Governments are instituted among Men, deriving their just powers from the consent of the governed.” America, that means that government gets its power from the people, not the other way around. NEVER FORGET THAT. Those words scribed in The Declaration of Independence ring just as powerful today as they did in 1776. Today we celebrate American independence, remember that as our own government attempts to make “We the People” dependent upon government. A California town is actually considering banning their residents from smoking outside of their own homes. So much for Life, Liberty and the Pursuit of Happiness. In California, it is already against the law for smokers to light up near businesses, parks and playgrounds. Now your own home, seriously? Banning individuals from smoking on their own property, is as insane as it gets. When did we allow government to take over such liberties? One family is complaining and a law will be made based on one troubling making family. This is just unacceptable. A Placer County town is considering a ban on smoking that some say goes way too far. The Rocklin City Council is considering making it against the law for smokers to smoke anywhere outside on their property. The city council is considering the ban after one home owner complained about smoke coming from their neighbors’ backyards saying it caused health problems for their kids. From The Blaze. Maybe these folks should close their windows. So let’s understand this, the PITA neighbors complain about this but have never mitigated their damages and left? If they think smoke is such an issue, why didn’t they do something sooner? And if you have such an issue … MOVE!!! Kelly Baker said her two sons, ages 11 and 16, both have asthma and that after 10 years of breathing in their neighbors’ secondhand smoke, the kids have become sicker. She told the Herald the smoke from her neighbors’ porch cigarette breaks seeps in everywhere in her house, including the bathroom and laundry room. What’s next, no barbecuing outside either?